I have to say one thing…I LOVE magnesium oil!! 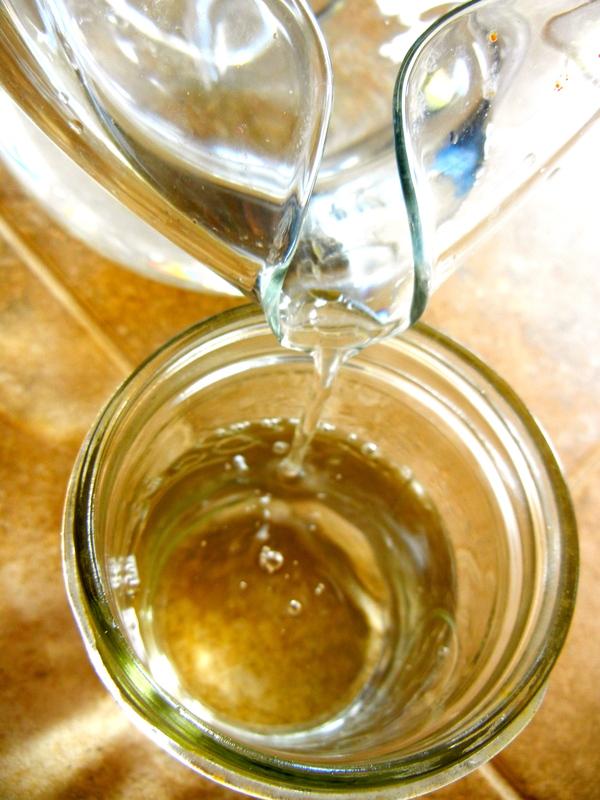 I started using homemade magnesium oil ever since I read this post from Cheeseslave blog. It has helped my body tremendously! I used to have constantly tight shoulder traps and a stiff neck from the stress of being sick. When I say sick, I mean catching colds all the time due to my weak immune system. I am sure that magnesium oil has contributed to helping my body heal. Also I never get headache anymore! Once every few months I would get a bad migraine and all I could do was cry and lay in a dark room. Ever since I started using magnesium oil, I have not had one single migraine! Not only that, but I was also prone to headaches throughout the day. But now I actually can’t remember the last time I have had one! My life is SO much better without headaches! Not only does my body benefit from it, but my mind does as well. I always have so much on my mind and sometimes it can get annoying because thoughts keep racing around. After a few months of supplementing with magnesium oil, I could tell a difference in my mental clarity and peace. I used to supplement only with Mega-Mag Liquid . I am sure it helped my body somewhat, but the oil really gave my body that boost it needed. Your body absorbs so much more magnesium through your skin. I highly recommend this book. My gut is still healing and I think I still have ways to go. One component of the healing process is my religious use of magnesium oil. I use it morning, afternoon and night. My body almost seems to crave the magnesium oil, which is sort of weird, but the human body is very smart :). If I go too long without spraying it on my body, I start to feel a little anxious and my muscles get tense. When my muscles get tense, my neck seems to come out of adjustment easier too. So magnesium oil sometimes saves me an extra trip to the chiropractor! Just as a warning, the magnesium oil also seems to sting in sensitive spots of the body. Personally I cannot put it on my legs, creases of my arms, face, or fingers. But my sisters and mom have totally different sensitive spots. I just don’t put the oil on those spots. If some spot on my body does start to sting a little, all I have to do is wipe it with a damp cloth and I am all good! When I say sting, it is not that bad. I am referring to a more irritating sting, rather than a hurt sting. If you are worried, start with the bottom of your feet, hand palms, and your stomach. I don’t handle foods rich in magnum like nuts, grains and beans. Since I don’t eat these foods, I have a feeling I am extra deficient in magnesium. Your skin absorbs magnesium much better than if you were to take it by supplement. I am also a big fan of epsom salt baths, because it is literally a big bath full of magnesium! You are also saving a lot of money when you make homemade magnesium oil, and it is just as good as the store bought kind which is $23! If you make it at home you only spend around $1 -$2 for 8 oz, depending on the amount of flakes you order. That is just crazy! So now I will quit blabbering about how much I love this stuff and teach you how I make it! I got this idea from this post. Thanks Cheeseslave. * I always multiply this recipe by four so we have enough to last us a few months. 1. Measure out 1 cup of filtered water (I used a ball jar as my measuring cup!). 2. Pour 1 cup of water into your stainless steel pot. 3. Measure out 1 cup of magnesium flakes. 4. Pour your 1 cup of magnesium flakes into the water in the pot. 5. Put the pot on the stove and turn the heat onto low/medium. Heat just until the flakes dissolve all the way. Stir in-between. **note: You don’t need to heat the flakes and water. On several occasions I just let the flakes sit in the water until they dissolve. It takes a bit longer but works just as well. 6. Remove from heat and let the magnesium water cool down to room temperature. Takes about 30 min. 7. 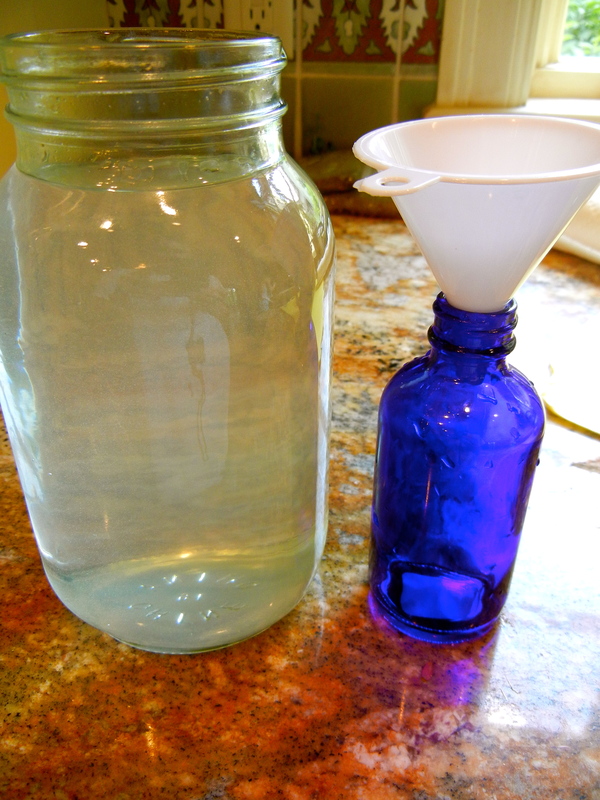 Pour the magnesium water into a glass jar or the glass bottles with the help of a funnel. * What you are really making is “magnesium water”, but the flakes seem to dissolve into an oily like consistency, hence the name, “magnesium oil”. 8. Spray on your body! Soak in the magnesium! Wasn’t that easy? Your body will thank you for it. I got a response from the Ancient Minerals company about making magnesium oil with the flakes. Take a look please. “The magnesium oil itself is a direct result of the process that is used to mine the magnesium chloride from the Zechstein seabed. Magnesium chloride is hygroscopic, which means that it readily retains and attracts moisture. Unlike the oil, the flakes are produced by an evaporating process which requires high heat. To produce the flakes, the magnesium oil is heated up to approximately 160 Degrees Celcius (320 Fahrenheit) and the water is evaporated until a concentration of 47% of magnesium chloride is reached. Due to the heating process needed for evaporation, a small amount of MgCl2 will decompose to MgOHCl (magnesium hydroxide chloride), MgCO3 (magnesium carbonate) and HCl (hydrochloric acid) in the vapor stream. These resulting compounds are responsible for the cloudiness that can be seen after dissolving the flakes. They are not hazardous but are products of the necessary production step to get the flake crystals. For applications with low magnesium concentrations, such as bathing applications, the flakes are perfectly suitable. So They are saying that the concentration of magnesium is higher in their magnesium oil (this stuff) compared to the homemade stuff. You could just apply it more times a day or even try adding more than 1 cup of flakes to 1 cup of water. Try adding 2 cups if it dissolves all the way. If you don’t see any benefits from using the homemade stuff after a few months, you might need a stronger concentration. Though, I seem to do fine with the homemade recipe as of now! I have never used magnesium oil. Thanks for the recipe and info. I’m already subscribed… and look forward to the posts. Never used it before….but I just ordered the oil and Magnesium Miracle book from Amazon. Stalking the postman! The gutsiest thing I have ever eaten was cow tongue….my parents made me! Blech…. Haha! I have eaten tongue before too. Kinda wired texture but good flavor! I am so glad you are going to read up on it! Oh, and I already subscribe. Love the posts! I have never used magnesium oil, but would like to try it. You will love it once you try it once! I have never tried magnesium oil, but sounds like something I’d like to try. I also subscribe to your blog and love your posts! I’ve shared it with others. The strangest thing I’ve eaten was also beef heart. I had it mixed in ground beef, but the idea of it being there sort of grossed me out. I also tried beef tongue once, but it never made it past my mouth, so not sure if that counts! I’m trying to get traditional foods in my diet, though. Baby steps!!!!! Baby steps are the BEST way to go. I am so happy for you! Keep it up !! I have never used magnesium oil before, but I do use a mineral spray every day on my face. It’s more of a cosmetic thing, though, so I’m not sure of the health benefits. Great blog!!!!! I just started using mag oil, also thanks to Cheeselave’s post (a T-Tapp person who recommended it as well). I’ve been making my own. Your tutorial is so nice – pictures make it easier to understand. Great I am so glad you are using it already!! I hope my pictures will help other become less scared of the process! I spread the word on Facebook (even before I saw that was one of the ways to enter the contest, LOL!). Gutsiest (spell?) food I’ve ever eaten would be a beef tongue taco or fish eggs. Yuck on both! Haha..well that is actually a good idea! I started using magnesium oil after I read Cheeseslave’s post too…mainly for my chronic migraines, but also because Heather at Mommypotamus says that magnesium deficiency is one reason some women have horrible morning sickness (which I have had with both of my daughters). In hopes of having a morning sickness-free pregnancy someday, I’m following a daily regimen of magnesium oil now! Thanks so much for the tutorial, it looks super easy to make your own! Yes! or you could make some ! I’ve never used magnesium oil but I have considered it. I hope you do now! Its worth a try. The gutsiest thing I ever ate was turkey testicles. Yes, I have used magnesium oil. I have used Mag oil but never stayed consistent with it so now I’m inspired to do so, especially since I can make my own. Thanks! Yes! I hope it helps ! I am currently using magnesium oil. I think it is making a difference, but I just started it so we’ll see! It takes a while to build up your stores because everyone is so deficient in it. Give your body a few months at least. I have never used magnesium oil before, and honestly I didn’t know it existed. I am magnesium deficient so I’ll definitely give this a try. I was wondering about the bath flakes, and how different they are than generic epsom salt. Any ideas? I’ve never used Magnesium oil. ohhh you are in for a treat! I have never used the oil before but take at least 500 mg a day to help with cramping and restless leg. I have read about the oil but never followed thru. Thanks so much for the recipe and the giveaway. Gonna order the salts. Sorry if I have posted twice. Something just didn’t seem right when I hit submit. I have never used the oil before but I do take 500 mg a day of magnesium. I have read about the oil on Cheeseslave but never followed thru. Thanks for the recipe. I have never used magnesium oil, but it sure looks helpful. I am on abx for lyme’s right now, and am not supposed to take mag as the spirocetes love it. Would the mag oil be different? I hope so, I miss my mag. Hmmm. I would ask your Dr. about that one, because you are still getting magnesium into your body. Sorry I couldn’t help more. I was told NOT to use the oil in that case. It is absorbed better than the oral supplements, so it would be even worse. Oh yes, I can understand in your situation! Yes I have used it. I like your recipe a lot! I have never used magnesium oil but it sounds wonderful. It is wonderful! I cannot go 1 day without it! Thanks for sharing with us on AFW. Thanks for reading! Yes I do listen to my body, or else it will tell me if I am doing something wrong loud and clear. I have used it on and off. But I need to start using it regularly. Iknow I am deficient and I can’t tolerate the mag rich foods either. Thanks for the push to get me back on track! Yes no problem! It is easy to start it up again, one spray here one there and soon your body will just tell you in advance (before the pain) when it needs it! I have never used magnesium oil. I could definitely benefit from it. Great! 🙂 ..everyone is deficient in magnesium, unless you have been supplementing for years with the oil. I haven’t used magnesium oil, but do the epsom salt baths. Epson salt baths are good, but your body flushes the magnesium out a lot faster than the oil. Mg oil is Mg chloride and epson salts is Mg sulfate (your kidneys excrete if faster and you need more). Still good stuff though!! 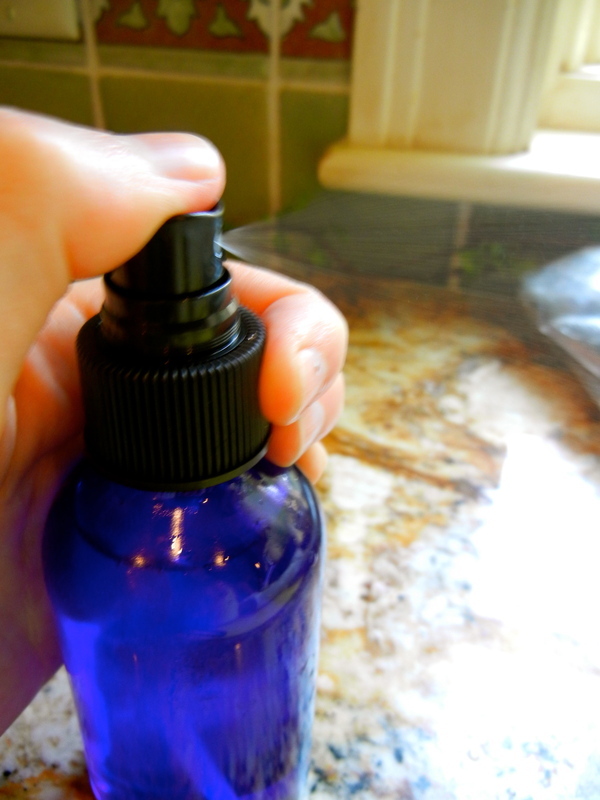 Yes, my daughter shared some of her Magnesium oil that she made and I have found that it helps so much. Your post is so interesting and has prompted me to use the oil more often not just at bed time or when I’m in pain. Thank you for your giveaway. Your daughter is nice to share 🙂 Yes I was that way too, but then I realized that if I use it before the pain..life is so much better! I have never used it, but I have been wanting to try it and see if I could see some improvements in my health. Thanks for the tutorial as well! I had the same problem, when I click subscribe nothing seems to happen. I have never used it. I was taking magnesium supplements though. You will absorb it better through your skin! I’ve used Mag. oil, but I’ve never made it myself. It is too easy not to try! I have never used magnesium oil! Can’t wait to try. Oh good I am glad i got you excited! I have also experienced that tingle when applying it to my arms; so I first apply coconut oil, which helps. What a great post. I haven’t used magnesium oil, but I am going to pass this information along to other friends that have migraines to help them out. You are such a great friend! I wish someone would have told me 10 years ago about magnesium and migraines! Yes! Started using it about a week ago! I have not used magnesium oil yet. I have wanted to since reading the same post by Cheeseslave. cheeseslave has some really good articles! I hope it convinced you to use it now! the feedburner form doesn’t like me either. I can’t get it to accept my subscription. hmmm. what does it say when you type in your e-mail. do you get a e-mail to confirm? You are definitely right! You should start right away! as many times a day as you can remember. Never used it – but I’ve heard such great things about magnesium and how we are all deficient. Yep way to do your research! Never heard of manudo..what is it? I have never used it but I know me and my husband both need it very badly! Yes, I use it. I have for the past few months. I’m glad to know I can make it myself now though! I love it, clearer thinking and energy. I get up earlier in the morning now after decades of feeling like a lead weight in the A.M.!!!! I have used magnesium oil, but I can see from you that I need to use it more often and regularly. In the past I just used it at night to help me sleep. If you use it during in the day, it will just became routine and helps all body functions! The gutsiest thing I have ever eaten is sadly, not that gutsy- it was grass-fed beef liver. Oh yes it is..don’t baby cow liver..it sure is strong! I haven’t ever tried the oil, but I do use a magnesium pill supplement. I’ve never even heard of magnesium oil, let alone used it! It sure sounds interesting though! There is so much to learn about magnesium and the body! It is fascinating! It is so interesting, please do your body a favor and give it a spray! Have never heard of magnesium oil. Have soaked in epsom salts. Will look for the items to make some if I do not win yours. Yep! Love epson salt too, but i am a little biased towards mag oil because it is soo easy! Yes ancient Minerals is the best! I shared this post on FB!! I have never used it but want to! Nothing can replace mg oil in my view! I have used magnesium oil and love it! I am using the Ancient Minerals Magnesium oil now. I just started using it yesterday! GREAT! Don’t be disappointed if it takes a few weeks to notice a difference. Tell me how it goes please! I’ve never used Magnesium oil, but love my Epsom salt baths. Would love to try this. Never tried the mag oil, but it’s been recommended!! I guess this is sign you should try it! I just shared this awesome giveaway on Facebook! Well, A long time ago I had shark which we don’t eat now. It was divine though! That’s probably the best I have! Whooo! That is awesome 🙂 Is shark hard to get now..I don’t think it is safety fished anymore. i’ve never used it, never even heard of it but I’m certainly going to use it soon! thanks for the heads up. I have used magnesium oil. It is great for aches and pains. My daughter is a dancer and uses it as well for tired muscles. Yes it works wonders on muscles! Thanks for adding that! I have never used it, but I REALLY need it! Yep! You won’t be disappointed! Never tried before. Plan to very soon, thanks! I have never tried it but I really want to after reading this. Of course! They make a regular appearance around my house too! 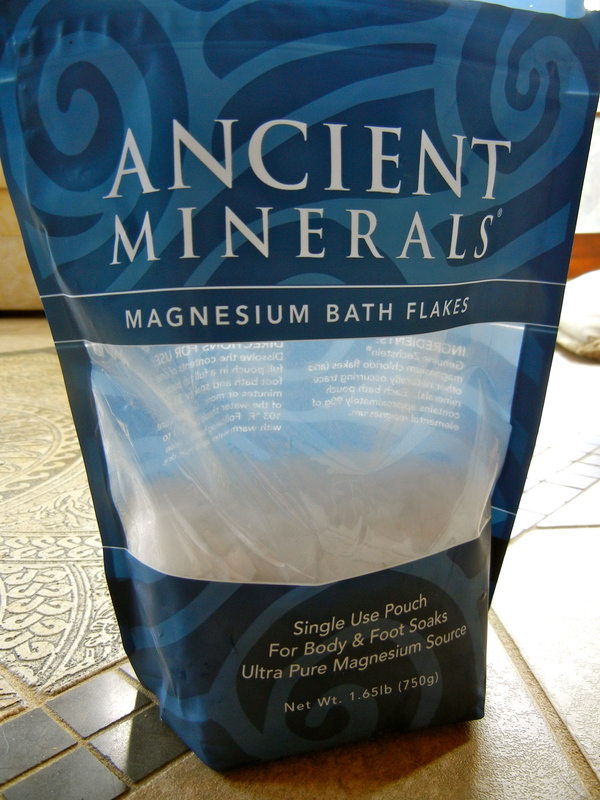 I haven’t used magnesium oil, but do the epsom salt baths sometimes…..
great! Mg oil is just one step more because your body retains the Mg longer! I have never used Magnesium oil and look forward to trying it. never used it… but have been struggling with migraines and looking into magnesium! This could help! Because magnesium helps open and calm down your blood flow to your brain and head. I hope it helps too. I just started using magnesium oil after reading about it on the Cheeseslave blog. I did it just like you did, even with the same blue bottle! 🙂 I’m struggling to incorporate it into my routine though. I find that it doesn’t absorb very quickly, so I tend to have it dripping down me instead of absorbing into my skin. I’m applying it after I take a shower. I’m hesitant to get dressed because I worry that it will absorb into my clothes and be wasted. So I tend to not use it every day because I’m not sure yet exactly how to use it. Any tips? Is after a shower not the best time to apply? Should I be rubbing the oil in more to get it to absorb? I’ve never used it, but think I could really benefit. Emily! I hope you can try it soon! I have never used magnesium oil. My mom gets terrible migraines, so I’m going to tell her about this! April! Your mom will be so grateful that you showed her it 🙂 There is always hope! Yes! I got a sample of magnesium oil at the WAPF conference last fall and then bought the flakes after I ran out. I’ve used Mag oil with great results. I have never used magnesium oil before but know Epson salts baths have helped. I hope to try it soon. just started using Magnesium Oil this week. Never have the time to clean the bathtub OR take a bath. It does itch a bit. trying to figure out how many sprays I can handle in 1 application. I use magnesium oil from ancient minerals. I wish it wasn’t so expensive ( should make my own) but I started using it because of Cheeseslave’s post too and because I am pregnant and had gestational diabetes w/ my first child. I’m also prediabetic and magnesium is suppose to help with blood sugar control. I have never used magnesium oil before…but like others, have done epsom salt baths. I do take magnesium supplements everyday though…I think I need to try this recipe out though. Yeah! I stopped my Mg supplement and epson salt baths because I use the oil so much..but you will have to experiment what works best for your body! I have not used it but I did read Cheeseslave’s post when it came out and have been meaning to try it. In the Cheeseslave post she recommends reading the book The Magnesium Miracle. I feel that is important because it points out that you need to balance your intake of calcium, magnesium, healthy fat intake and vit. d levels. These are all important to balance as otherwise you cannot absorb enough of one or you create deficiencies in the others.Also if you rely on nuts and beans for magnesium you are getting lots of other nutrients as well but important to learn about soaking. If you don’t tolerate these foods well soaking helps digestion. Love this recipe and the presentation. Looks like a beauty oil and it really is!! Juile, I LOVE that book too. I will add that book reference to my blog post as well! Thanks 🙂 Yep i soak and dehydrate and even ferment seeds but I still cannot tolerate them yet. Thanks for asking though! Yes, I have tried one brand of magnesium oil but I’ve only started using it. I’ve not tried magnesium oil, but I am excited to try it. I do use Natural Calm at night, but there’s some “challenging” side effects if you take too much! Oh really! The skin will only absorb what it can take in, so there will be no side affects from taking too much because your body cannot use it if you give it too much! Yep – I’ve used it, my daughters break out from hives from the brand I use. Maybe your home made stuff will be easier on their skin! Oh no.. but try diluting it down more for them too. Maybe it is just to strong for their sensitive skin! We just got gifted a cow tongue from a friend who was unwilling to try it. This will be the gutsiest food we’ve ever eaten. Way to go for eating it! My mom loves cow tongue..it just looks kinda weird! I have never used magnesium oil but am excited to try it! I have tried magnesium oil. I am on my first bottle. I’m so excited to learn that I can make it myself! Its super easy too 🙂 have fun making it! gutsiest thing I have ever eaten? Hum. Hard to say. I’ve eaten a lot of weird things. FCLO was hard at first. But now I consider myself “gutsy” to eat CAFO meat that a friend serves me. FCLO is a little gross at first.but you get used to it. I have never heard of CAFO meat..whats that? Yes I use magnesium oil and I would love some more! Now you can make it!! I have not used magnesium oil, but am intrigued by it. I read about the symptoms of deficiency and I have many, is there a blood test or something to confirm deficiency? I am not sure a blood test would be accurate. You don’t really need it because if you have not been supplementing for years through your skin, then most likely you are deficient. Anyways you cannot get too much Mg through your skin, your body simply won’t allow it. I am a subscriber to your site. Thank you! I use homemade mag oil too after reading the CHEESESLAVE post. I haven’t noticed any really drastic results but I continue because I know that I’m doing good for my body. My best friend is much deeper into real foods/GAPS than I am – we had meatloaf with beef heart hidden in it at her house and I knew it was there. Mixed in with ground beef it’s not even noticeable. The kids ate it with no complaints! I shared the post/giveaway on FB. Awesome information! I’ve always been low in magnesium and taken supplements, but am excited to try this!!! Never tried this but I did soak in epsom salts which I thinkk contains magnesium. I would love to try the oils. I use epsom salt and take kelp now. question, not an entry…. couldn’t the water be made with epsom salts? I have never used magnesium oil. just started using magnesium oil this past friday… i LOVE what it does for me! i have had major sleeping problems for the past 2 1/2 years. i have been taking magnesium vitamins/powder, but nothing touches how magnesium oil calms & relaxes me. SO HAPPY! also, i’ve never had bad body odor till about a year ago… magnesium oil is also helping with that! crazy how a deficincy in this one mineral can create such a problem! thanks so much for the diy instructions! i’m sooo excited! Ashley! I am so glad that you feel better using Magnesium oil! I know completely how you feel about the sleeping thing! I am like a whole new person using it 🙂 And yes the alligator counts as a gutsy food! Wow fried alligator! I would count that. The oil just makes me happy in general too because of all the good things it does. I wish the whole world knew they were deficient. Then maybe people would sleep better and be happier and well rested! Yes, have used recently, but so looking forward to making my own! Wow only bought a small bottle to try and glad I did, I can make by the gallon now! Thank you! The gutsiest thing I have ever eaten was an oyster. I won’t be doing that again anytime soon. 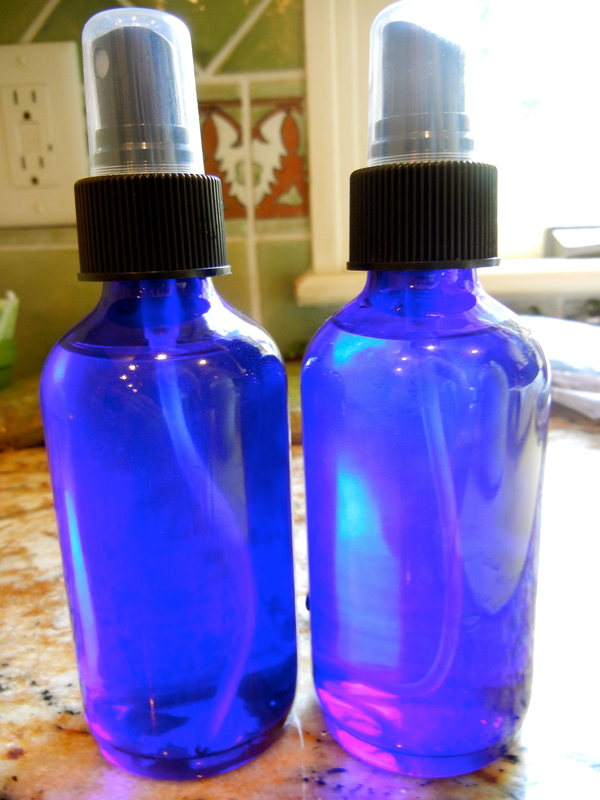 Thank you for the great tip on making Magnesium oil and the many uses for it. I subscribed. Can’t wait to try this on my daughter and son! How neat! I think this is great. I plan to try this recipe out and see how it can help. My husband and I are both getting up in our years and feel our age in our joints and muscles. I suffer from migraines…and have ever since I was a young girl. Thanks so much for sharing in our linky this week! I started the GAPS diet as soon as I got home from school in May – my entire family is doing it which makes it so much easier. I have used magnesium oil for constipation, cramps and indigestion! Initially when I got on the GAPS I ate something with almond flour- apparently my gut was not ready for that and I got the most terrible stomach ache. I used magnesium oil all over my stomach and within 20 min, I was as happy as a clam. I also loooove epsom salt baths…though I find they make my lower legs ache horribly afterwards (a “growing pains” type of ache) – I can only contribute it to die-off. The baths usually leave me incredibly relaxed and drowsy. Oh and the gutsiest food I’ve eaten would probably be straight up cow liver 😛 I wouldn’t recommend it. Already tried it! Its not that bad. Have you tried soaking it in milk or lemon juice? hi Catie, You are just like my older sister who did the same thing when she got home from college. Only 1/2 our family is doing it, but the rest of my family eats real food. You are lucky that everyone is doing it together 🙂 I never thought of putting the MG oil on my stomach for an ache. I agree with you on the baths as well. Almond flour is hard to digest sometimes, maybe coconut flour would be better for you. I’ve never used magnesium oil. Maybe it will help my moms headaches. Maybe it’ll help the insomnia I have sometimes. My gutsiest food is probably beef tongue tacos. I’ve also had cabeza. I shared the contest on Facebook and I subscribed! I did everything except emailing 10 friends. The gutsiest thing I ate was probably beef tongue tacos. Here’s my blog post about the giveaway http://www.awesometaco.com/blog/2012/7/29/gutsy-blog-homemade-magnesium-oil-and-giveaway.html. My post didn’t go through last time. I guess it was because of my display name before. I’ve never used magnesium oil before but it sounds like it really helps. Yep, Mg oil does a lot for me. I hope you try it out. Never used it, but would love to try! Ancient Minerals only said that because they want people to buy their over priced Mag oil. Folks can even use Nigari (which is super cheap) with great results. I’m just as fed up with companies selling companies healthful products trying to drop kick you in the pocket every chance they get all in the name of health as I am with companies selling you products that make you sick and dependent. Yeah, I don’t know if ancient minerals is doing this though. Their spray might actually be more concentrated then the homemade stuff, but I make my own and it works for me, so I’m good.I hope that it works for you too. Caroline, Thanks for this opportunity to win the oil. I was on the Specific Carbohydrate Diet for two years to heal my stomach and it really helped. Unfortunately it didn’t help my chronic fatigue/fibromyalgia and I started taking Mag. Citrate powder a few weeks ago. I had read The Mag. Miracle a few years ago and followed instructions for taking Mag. but it didn’t help and it was too rough on my stomach at the time. But I feel that the powdered form of Mag. is better for me and might be helping my energy and sleep cycle. I just found your blog and will begin subscribing to it. Good luck with your endeavors in the natural health field. I found this post so interesting! It’s wonderful to know that you have had such good results using magnesium oil! Just wondering how much oil to use on your body(does it go by your weight)?? I just spray it all over, the more skin you can cover with it, the better! I really appreciate your recipe. I interpreted the company’s response differently though. They say that the heat degrades the original magnesium composition into two different types of magnesium. I believe they were trying to say that they original form is better for applying large amounts of to your skin. What are your thoughts on this? I see that you get tremendous benefit from it, but I am apprehensive about it due to the decomposed form of magnesium versus the original form in the magnesium oil they dehydrated the flakes from. I’m curious about magnesium toxicity. From what I’ve bee reading, magnesium toxicitycan be quite harmful…especially for those with kidney issues. I’ve been taking an oral supplement for about a week (I have gut issues too…severe gluten intolerance). So, when I saw this post i was very intrigued and would like to try to make the oil instead. Can you offer any info regarding potential toxicity? I don’t think you can over do magnesium through the skin. I would suggest switching to the magnesium oil because it is absorbed better and more usable to your body through your skin anyways. Hope that helps! Awesome! Great post…prompted me to do a lot of research last night… I’m definitely going to switch to oil! Yeah! your body will love it! Oh great! I send the spray to my sister and her boyfriend in college. They LOVE this stuff. You are so nice to be watching out for your mom! I bet her headache will get much better! I always make a lot. I have never even heard of magnesium oil, but after reading your post I would like to try it. I have just subscribed today. I was wondering if one could use epsom salts to make the magnesium oil? i would not because epson salts get excreted through your kidneys too fast and the spray would be really weak. thanks for the great information! I am a naturopath who sometimes prescribes the use of magnesium oil inhalations through a nebuliser (respiratory device). So when I read Ancient Minerals’ response saying “For applications with higher concentrations, we recommend the purity that can only be achieved by using the magnesium oil – straight from the source without any heat treatment,” I interpreted the statement differently. What I understand is that it’s a question of purity when using high concentration treatments. They don’t seem to be saying that their magnesium oil is higher in concentration than any other, but simply that has non-compromised purity. For this reason, they suggest that when using high concentration therapies, such as a 30 – 35% magnesium chloride solution (magnesium oil) rubbed on the skin every day (rather than, say, a low-concentration magnesium bath), then it is best to use the purest form possible, one that hasn’t been heated at very high temperatures, resulting in the formation of byproducts. Now this is perhaps debatable. I personally see the benefit of using homemade magnesium oil both from a health and money-saving perspective! The byproducts mentioned do not alarm me for skin application. Though perhaps a little less than ideal, mag oil made at home from good quality salts (i.e. carefully extracted from the famously uncontaminated Zechstein mine) is still highly beneficial. But for nebuliser applications (direct contact with lung tissues), I would only use the pure unheated magnesium oil for instance. I only buy from companies that sell salts/oil with the “Zechstein Inside” hallmark (offering independant lab results), which guarantees purity, otherwise heavy metals can be an issue. For some great info on a variety of magnesium applications (especially in relation to chronic fatigue), I highly recommend visiting Dr. Myhill’s site: http://drmyhill.co.uk/wiki/Magnesium And here’s a video of Dr. Mark Sircus on the subject magnesium oil uptake through a nebuliser: http://www.youtube.com/watch?v=-dgGdhSEZ3E&feature=channel Hope this could be of interest to you and your readers! HI I know that this has ended, however I have a question about magnesium oil concetrate. I bought some and I am trying to figure out if I can dilute it? The bottle reads highly concetrate, can you suggest any recipe for it? Thank you for any response you have! Peace and love sunshine and joy be your way! Amy, just dilute it with water! Forgot to say type in “honeymoon” for a 7% discount off your total. English is not my mother tongue, could you help me to understand this sentence? According to my google searching, HCl is a poison acid. Do the magnesium flakes contain it? I wonder if anyone knows. Does magnesium chloride need to be heated? Wouldn’t giving it time in water let it dissolve fully? Or is there a specific change that occurs with heating? The heat simply makes it dissolve faster. I put a cup of the flakes and only ½ cup water (which was just enough to submerge the flakes) in a jar, swirled it around for a few minutes, and it dissolved completely (though there was one flake at the end that took a while, so that might be close to as concentrated as it will get). You could let it sit, and it would dissolve eventually—heat and motion just accelerate the process. Thank you for your post. I got all the ingredients from your post and am ready to go and mix it. This is for my daughter who is multiply disabled, and has horrible migraines, especially when rain is coming, or weather changing. Do you think that would be helpful for that? Also, do you keep extra made magnesium oil in the jar in the fridge or counter? Also, where should I start applying it(spraying) first – the bottom of her feet? and often a day do you do that? YES it will help her with pressure headaches too, it does with me. and on the counter is fine. I would start with the bottom of the feet and wait to make sure it is not to strong for her skin. if so dilute it down with more water. as many times a day as you want!! Hi! Very interesting…I luv baths and use Epsom salt & dead sea salt with lavender e.o on average twice a wk. Question: Who would not benefit or be a good candidate from using “magnesium oil”? I want to try MO. Thank you for your time. Im not sure…i think everyone can benefit tom magnesium oil because it is such an important nutrient for survival and todays foods are very depleted. thanks for linking my post! YOU are the BEST!